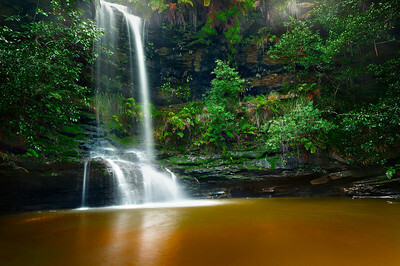 Photography gallery containing waterfalls, vistas, plants, animals, trees and the natural beauty of the NSW Blue Mountains. 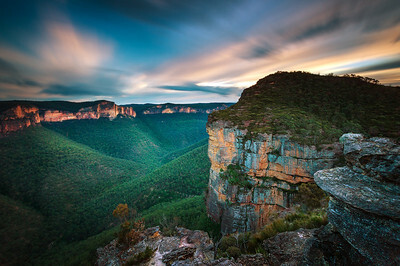 Grose River Valley, Blue Mountains - New South Wales. 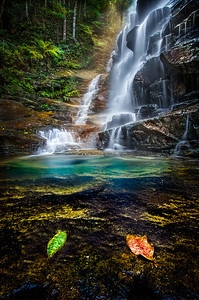 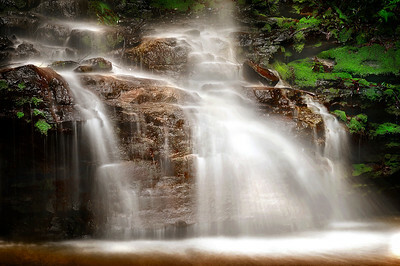 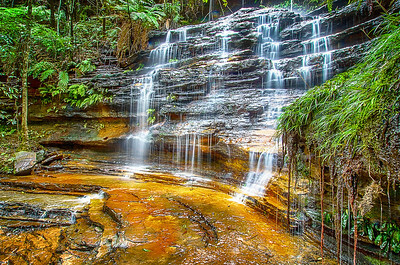 Australian Landscape Photography: A rainstorm instantly turned this trickle into a torrent at Federal Falls - Blue Mountains, New South Wales. 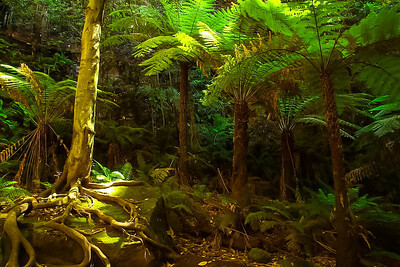 Growing Old Under a Blanket of Moss - Leura Forest, Blue Mountains NSW. 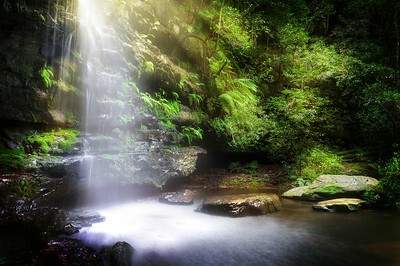 Base of St Michael - Blue Mountains NSW. 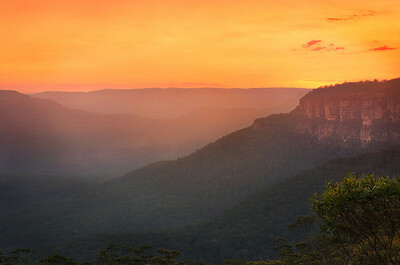 Sun Sinks Behind Jamison Valley. 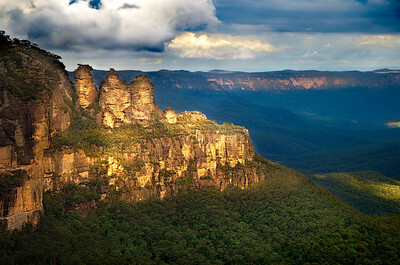 Blue Mountains NSW. 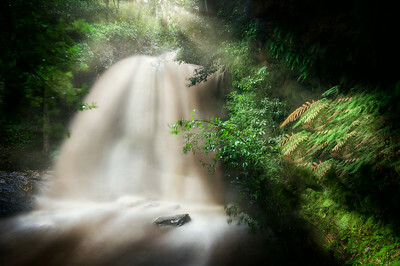 After the Rains. 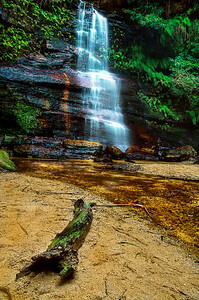 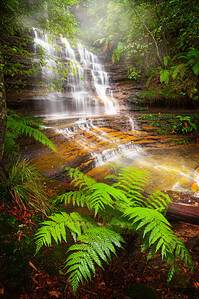 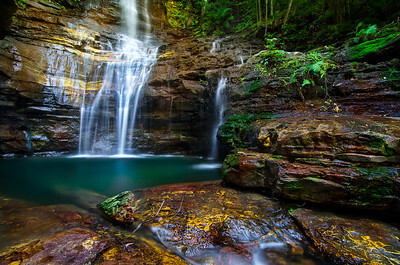 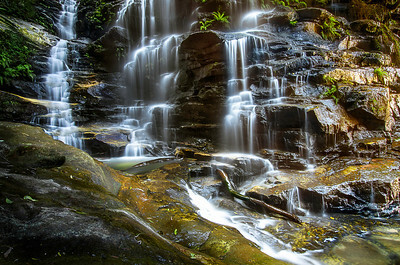 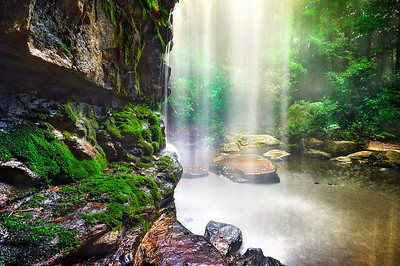 St Michaels Falls, Blue Mountains NSW. 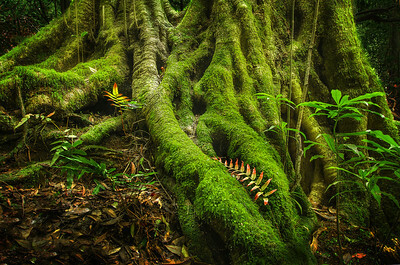 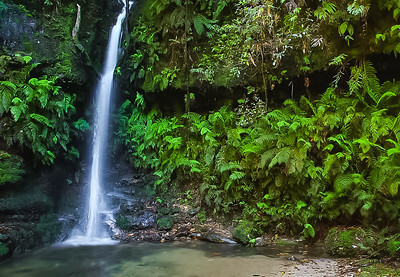 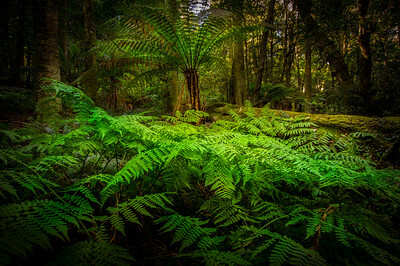 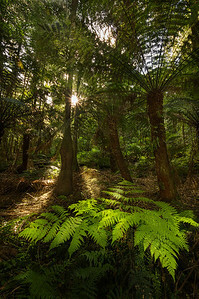 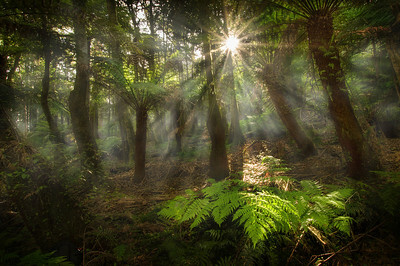 Cathedral of Ferns, Mt Wilson - Blue Mountains New South Wales. 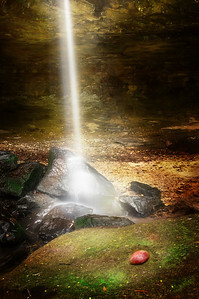 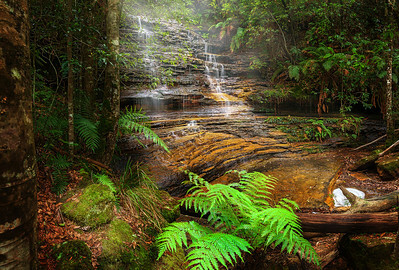 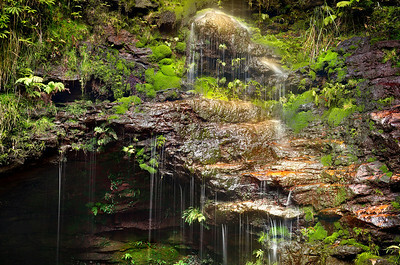 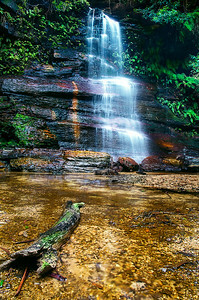 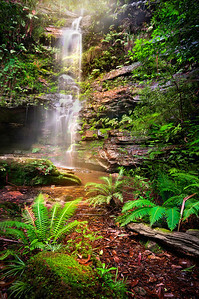 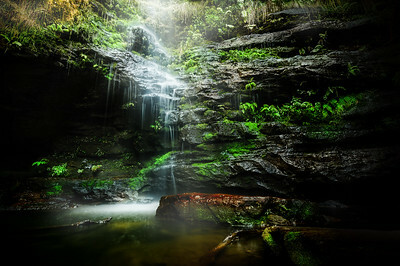 Dante's Glen - Blue Mountains NSW. 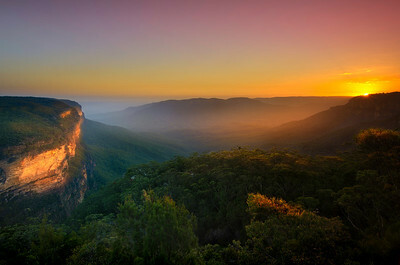 Dante's Glenn - Blue Mountains, New South Wales.